When it comes to finding the perfect time to put your home on the market, you’re likely to hear two sage pieces of advice again and again – sell when there are few homes on the market in your area, and get your house listed when prices are on the rise. Home prices are steadily going up in 2017, growing at rates between 9 and 15 percent higher than 2016. Price-per-square-foot is also seeing a dramatic increase from last year’s market, rising upwards of 10 percent higher than 2016 prices. 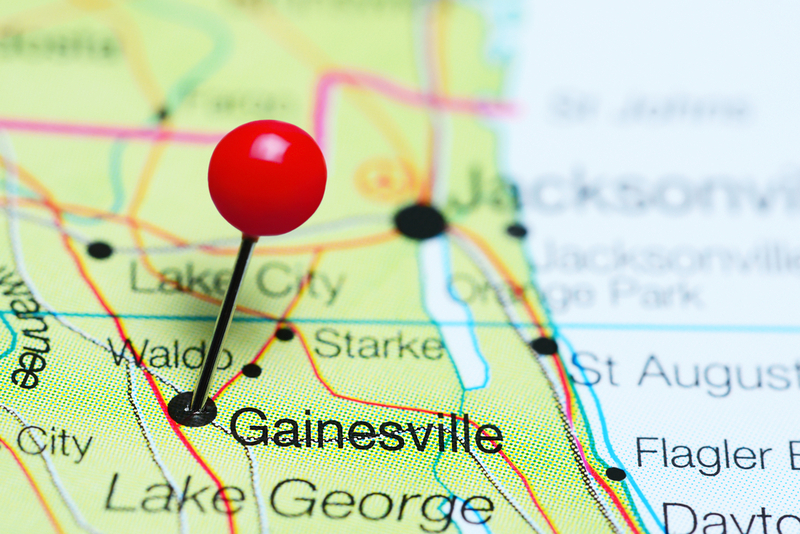 This year, the real estate stars have aligned in the Gainesville community, and 2017 will undoubtedly be a banner year for home sellers. All signs point to two-quarters of 2017 being very profitable for homeowners looking to sell, so if you are ready to take the plunge and put your home on the market, you’ll be happy to know that the proverbial iron is hot. The process of selling a home can be daunting, but there are simple steps that homeowners can follow to ensure they are getting the most out of their home sale with the least amount of hassle. The best way to learn the value of your house, and get the most out of your home sale, is to contact a professional real estate team for a full home value assessment. Thomas Group Realty has years of experience with the Gainesville and Alachua market, intimate knowledge of industry standards and trends, and provide our clients with the best practices for getting their homes sold quickly and at the best price possible. Thomas Group Realty is ranked Number One for real estate offices with fewer than 70 agents, and the Number Four residential and commercial real estate agency in Alachua County for all offices, making us the expert team you want by your side during a home sale. Our dedicated team of real estate specialists will assess the value of your home by investigating several key factors that determine the best price point for your home sale. A home value assessment begins by examining your home and property to determine the overall condition of the house and where improvements can be made if necessary. A professional evaluation will also look at the age of your home, the neighborhood and the location, and research the current market in your area. Together, these findings will give a Realtor® all the information they need to put your home on the market with the best price point possible. For an easy estimate before meeting with a professional, Thomas Group Realty offers a free online evaluation tool so you can get a fair approximation of your home’s value. There are a lot of steps involved in the process of selling your home, but the biggest first step is getting your ducks in a row and organizing yourself to make and meet necessary deadlines. A real estate professional is your best asset when it comes to figuring out an appropriate timeline for a home sale, but it is important that you take it upon yourself to set deadlines to stay on track for your home sale and subsequent move. Begin by creating an editable calendar, like a Google Calendar or a handwritten planner, and you will be able to set a time frame to tackle everything from packing boxes and painting walls to scheduling repairs and meetings with your realtor so that you never have to worry about falling behind on projects that could delay the sale of your home. Even in a seller’s market, if your house needs significant repairs, it can decrease the market value. Work with your listing agent and a professional inspector to determine which repairs will provide the largest increase in listing price for the lowest costs. Often repairs that sellers undertake include environmental issues–such as mold damage–and structural issues, like a cracked foundation. Other common repairs that can be made include upgrades to a bathroom or kitchen, replacing carpets, or painting the home’s interior and exterior surfaces. In a seller’s market, you have a whole lot of leverage when it comes to your home sale, but don’t let the market slip away by not trusting in your Realtor® when it comes to determining the best practices for getting your home sold. With many years of experience in home sales, Thomas Group Realty professionals have a wealth of information and advice that can help you get the highest sale price for your home so that you can take advantage of this current market boost. In the end, both you and your Realtor® want the same thing: to see a “SOLD” sign in front of your home as soon as possible and at the best price.